Need a handsfree way to watch your favorite videos or start video chat via your iPhone 5? 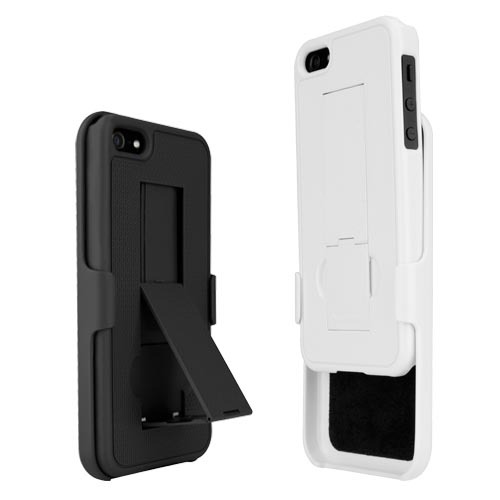 The following PureGear’s iPhone 5 case should be a nice solution. This is a multi functional protective case designed for iPhone 5. As we can see from the images, the iPhone 5 case features a retractable iPhone stand to hold your iPhone 5 in portrait or landscape viewing mode for handsfree entertaining, and its lightweight durable construction protects your iPhone 5 from bumps and scratches, while the rubberized surface offers you a comfortable and secure grip experience. 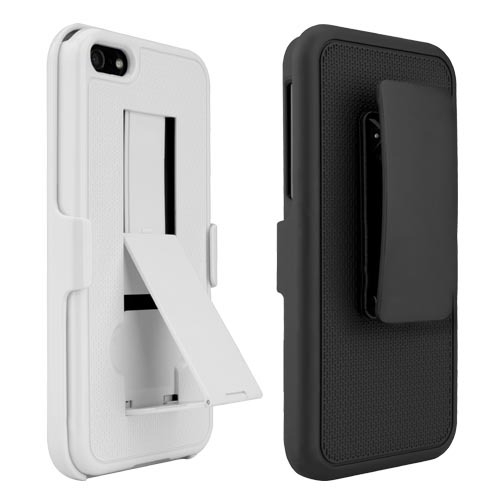 Apart from that, the custom cutouts allow you access to all buttons and functions of your iPhone 5, and the protective case ships with a holster for easy carrying and screen protection. 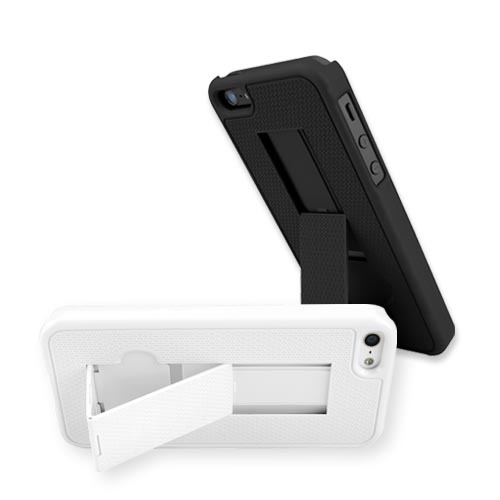 The iPhone 5 case is available in two colors including white and black, each one is priced at $29.99 USD. If you’re interested, jump to PureGear official site for more details. Additionally, if you need other options, you might like to check the Varioclear 5 iPhone 5 case and more via “iPhone 5 case” tag.